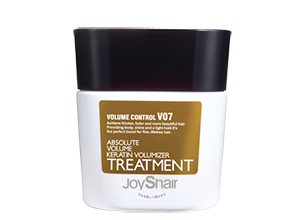 Designed to smooth, strengthen and moisturise hair, leaving it more manageable and beautiful. Nourishment penetrates into hair fibre, leaving your hair stronger and silkier. I used to apply a hair mask / treatment once a week, but have recently been a bit slack. As a result, my hair is in an “okay” condition, rather than a good or great one. Despite my hair being straight, it tends to get a bit knotted and wild when I wash it, so I was excited to try this mask to see if it would make my hair more manageable. I applied quite a generous amount to my towel-dried hair after shampooing and left it to work its magic for about five minutes. It had a lovely smell and a smooth consistency, which made it easy to apply. After washing it off, I went through my routine blow-drying as per usual. When my hair was dry, I could definitely feel an improvement in its texture and softness, however, I think it will take a few more sessions before I get my hair to how I want it to be. It has, after all, suffered from regular heat styling and colouring all winter! This product is definitely worth the extra few minutes you spend once a week to apply it!